Sometimes you see ideas on Twitter that make you think “I wish that teacher taught my kids”. So to celebrate the amaze balls practice that we all need to take notice of (and steal) I came up with the “#Iwishyoutaughtmykids” award. Here I have collected some examples that have made the grade. So that you don’t have to scroll to the bottom of the page every time I add a new one, I will put the most recent at the top of the post. 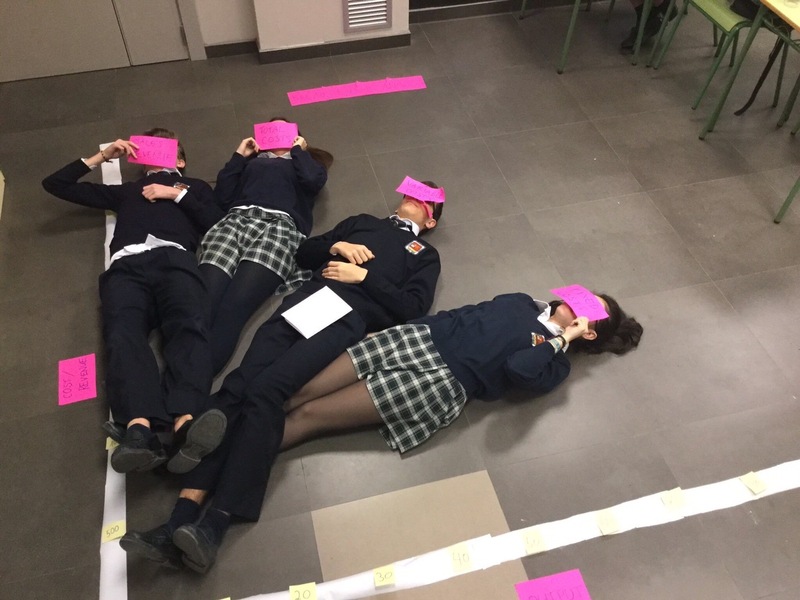 21st February 2017 – Wikipedia defines kinaesthetic learning as “…students carrying out physical activities, rather than listening to a lecture or watching demonstrations.” Perhaps they should just add this picture from Jade Lewis-Jones (‪@JLJbusinessed)‬ for this graph idea using students bodies as the trend lines. 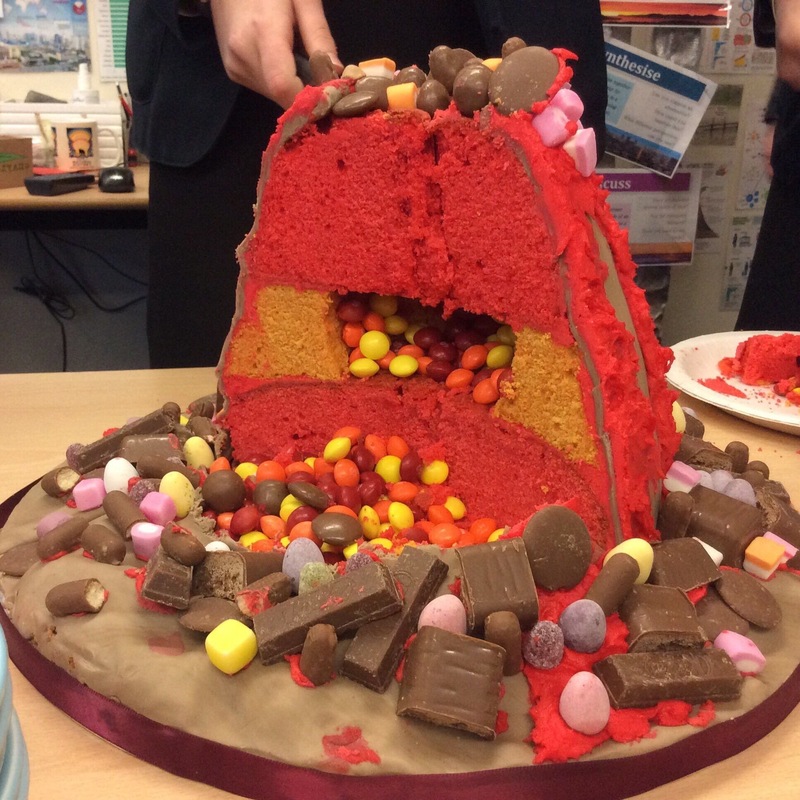 5th February 2017 – People more syndical than myself might say that making cake models doesn’t actually enhance learning (except for how to make a cake). Like any idea for the learning, it all depends on how you do it. 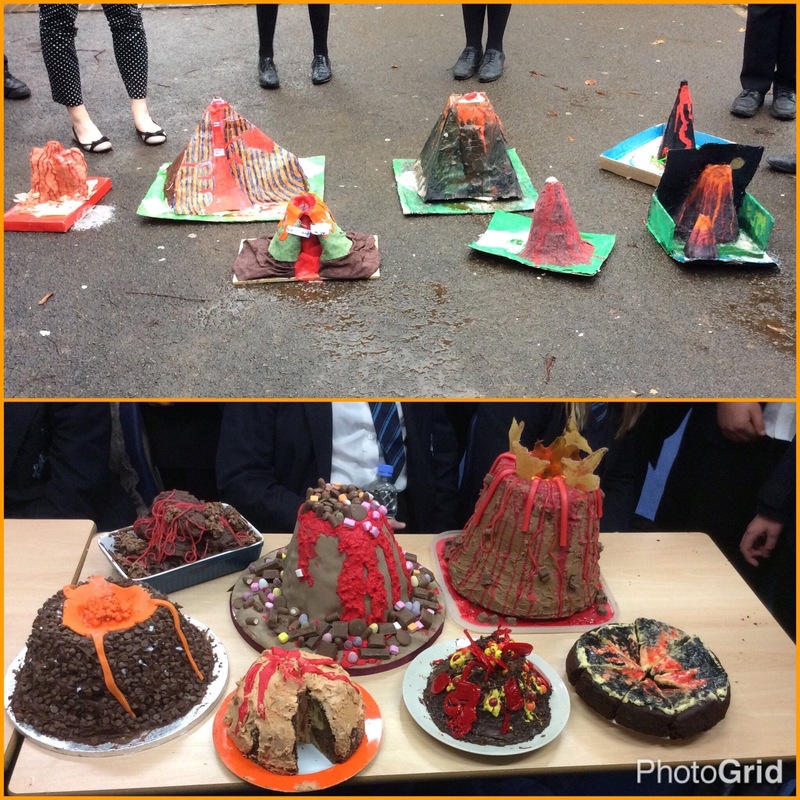 Here are some examples from @MissASearle (not all of them are cakes by the way). I think the best examples are those which include labels to demonstrate student understanding of the topic (as well as tasting nice!). 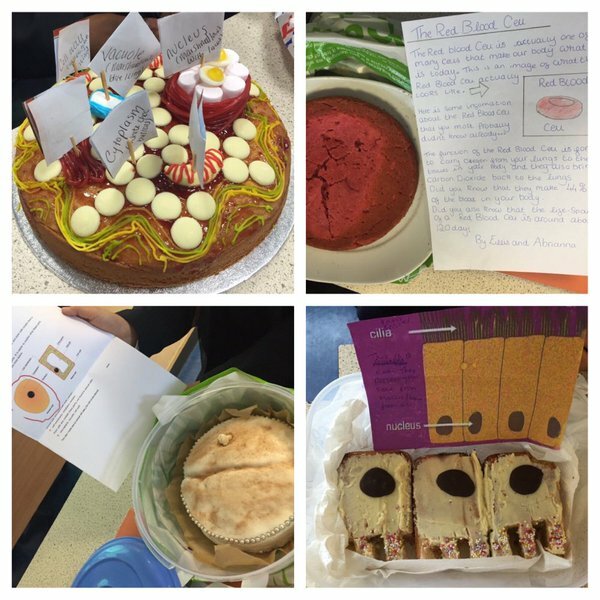 For more examples of how teachers have used food to engage learners search “#ediblelearning” on social media. 2nd February 2017 – Fake Facebook profiles are an excellent way to demonstrate learning. These ‘Extremophiles’ Facebook profiles from @ScienceSW show deep understanding of the topic. Sections such as “basic information” or “groups” can provide students with opportunities to demonstrate their understanding of how animals might link to other topics. 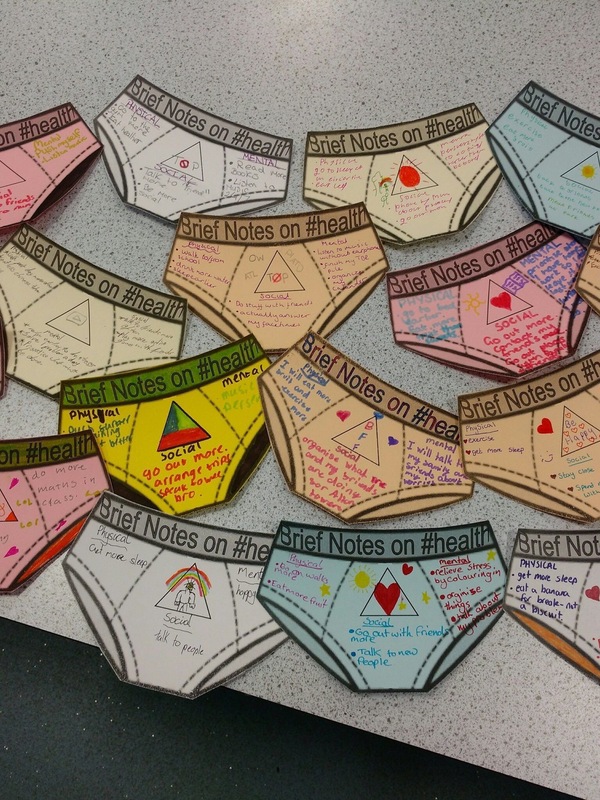 1st February 2017 – Back in November 2016 @histHartford had a great idea for note taking with a “Brief notes” template. The reduced size forced students to decide which information is the most important. 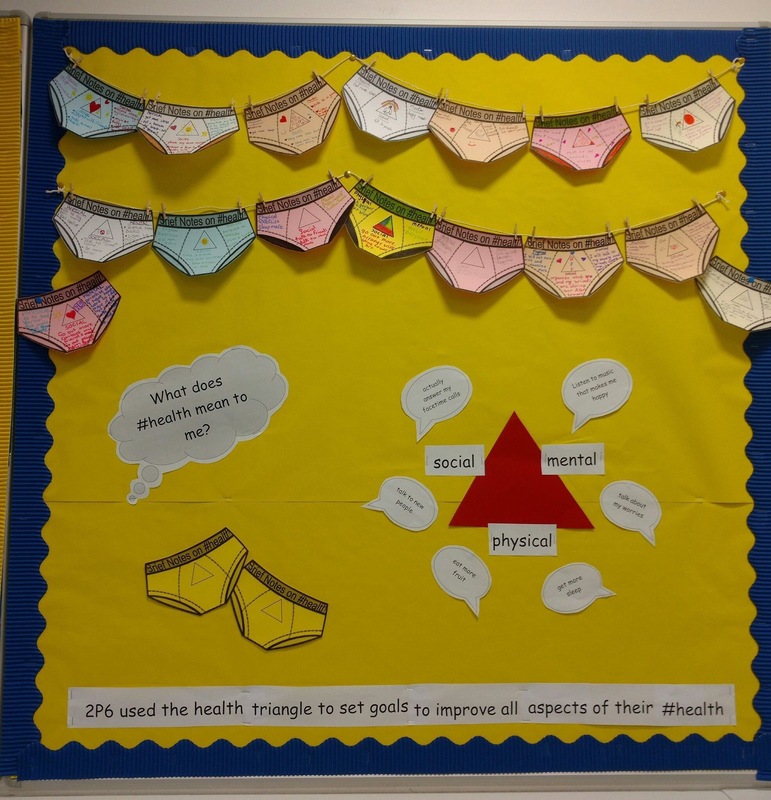 @JoMatheson2 has used the same idea here and has added a “health triangle” for students to write symbols or icons connected with the topic. 27th January 2017 – Pop up books are a great way to make books more interesting. 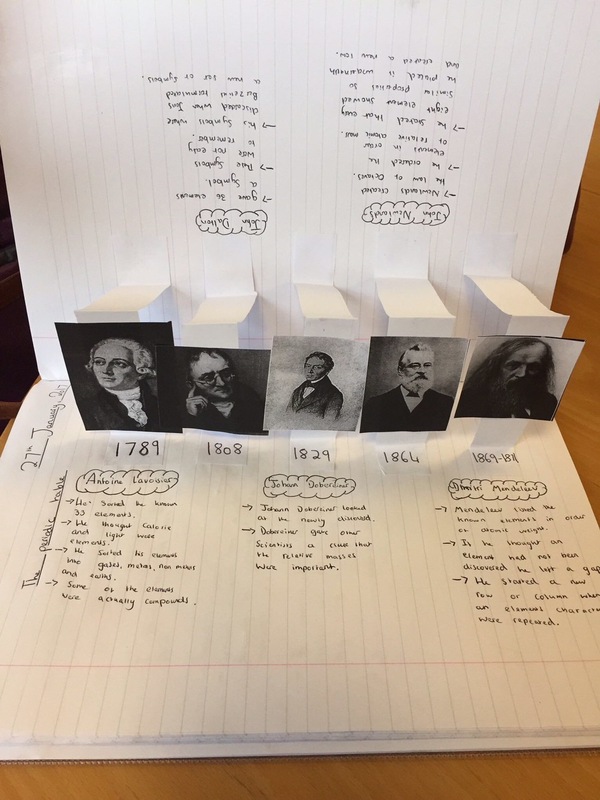 @ByrchallScience has used it to great effect here with students who have mounted pictures of scientists involved with the history of the periodic table timeline. 25th January 2017 – Sentence pong activity here from @MissL_Amos. Students throw ping pong balls into sentence cups then the class writes the paragraph. 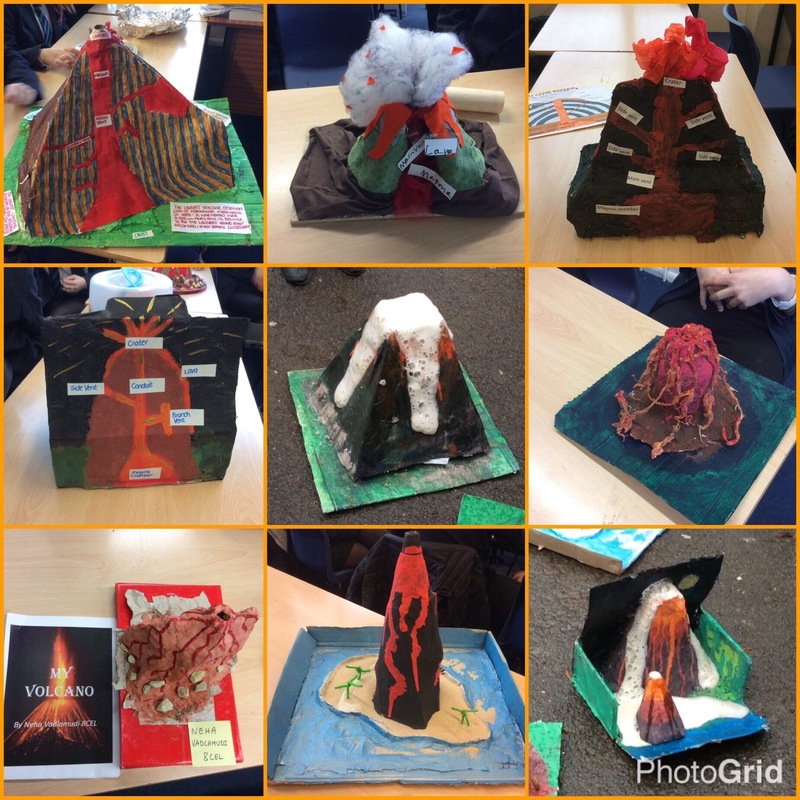 14th January 2017 – Geology thought the medium of chocolate via @geography_kes. Students were given an info sheet about bedrock lithology and the characteristics of sedimentary, igneous and sedimentary rocks. Using the fact sheet and their previous notes, students were left to their own devices. There was no right or wrong answers. It was just to get them thinking about what they’d learnt and apply it to a new context. E.g. a galaxy ripple has crumpled layers which look like tectonic folds whereas a kit-kat has clear horizontal layers so perhaps is sedimentary rocks. Genius! 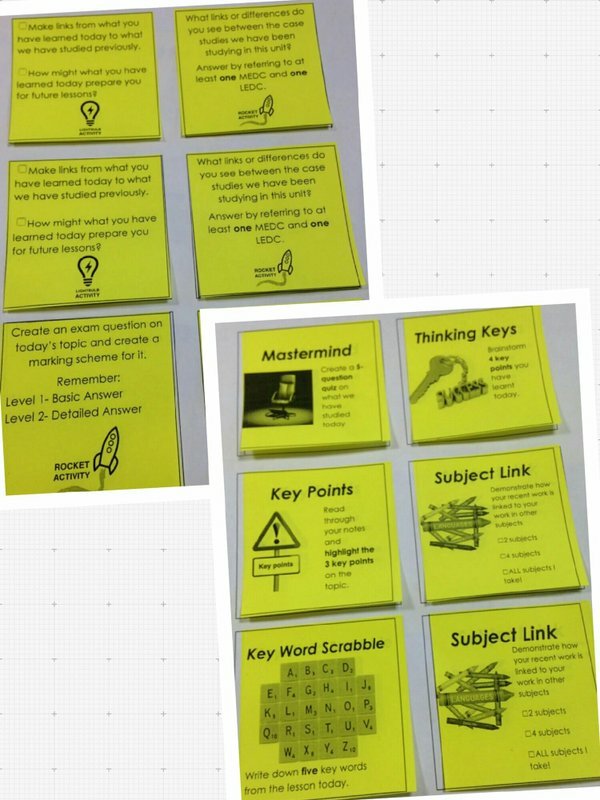 7th January 2017 – If you have ever encouraged students to make board games as a revision technique you will recognise how effective this can be in engaging students for learning. @worcesterjonny‘s fantastic battleships takes this to another level. You can download these examples here. 10th December 2016 – I have seen a few homework menus on social media, but this UFC themed one from @MrStoneEnglish is seriously good. 30th November 2016 – Thanks to @tonicha128 for these excellent extension boards. 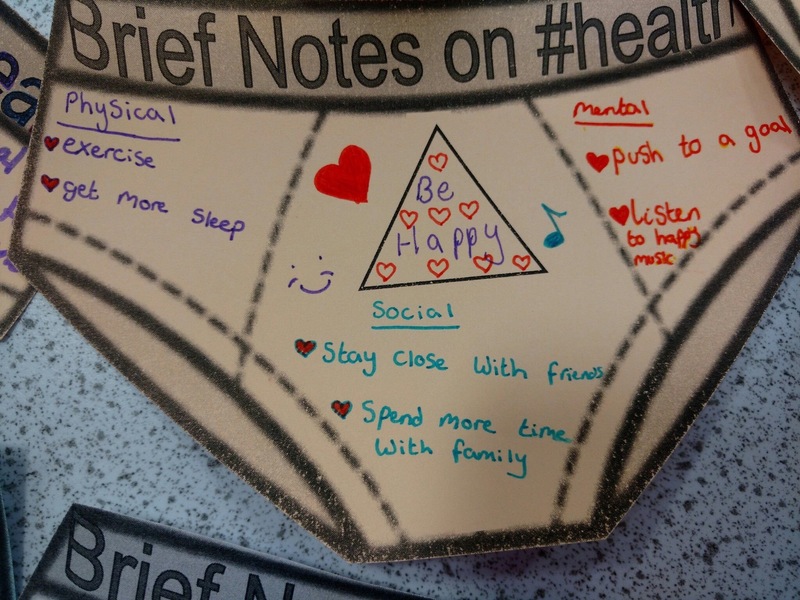 17th November 2016 – “Brief notes” template made by @histHartford used with Y7 to make notes on Boudicca. The reduced size forces students to decide which information is the most important. 4th November 2016 – QR codes used here to link to information and resources relating to the liver as part of a quiz made by @D_Faure. 10th October 2016 – A second entry in the #iwishyoutaughtmykids hall of fame for @missmcintyre15. PE challenge and support boarding passes used here with colour coded strips to differentiate between different exercises. 9th October 2016 – I’m a huge fan of @KingsMacHistory. This 16th Century Trip Advisor review with Y8 is typical of the great ideas they produce. I love the attention to detail with the marks out of 5 for “worship service” and “bible quality”. 27th August 2016 – @LDNHumsTeacher ordered 50 beach balls for colour coded questions. The same effect can be achieved with balloons which students can write their own questions on to throw around the classroom. This can help to introduces a random element to selecting students for questions. 11th July 2016 – Comic strip app work from @RiseUPEdu. 20th May 2016 – Encouraging creativity is a great way to develop student learning. Individuals who understand a topic more deeply can surprise you in terms of the ideas and pictures they can create. This “create an emoji” activity from Kate Jones (@87History) is an ideal way to extend students learning if they can link the emoji to the topic. 6th May 2016 – Love this Jediometer from Shaun Williams (@thebadpedagogue). Great way of showing students their level of understanding. Could also be linked to SOLO taxonomy symbols. Find more of his great ideas on his website. 30th April 2016 – Guaranteeing her place in the #Iwishyoutaughtmykids hall of fame @missmcintyre15 has come back with these great Mr Men Maths resources produced by @solvemymaths. Shared back in December 2015 but I only found them this week. If you want some inspiration have a look through the media posts on her Twitter page, they are very impressive. If you like the Mr Men theme there are lots more great ideas for Maths at SolveMyMaths.com or follow @solvemymaths. 3rd April 2016 – Love this “so, you think you’ve finished?” wall from Clare Barrell (@BusinessBarrell) at The City of Leicester College, made even more fabulous with her animal print poster paper. 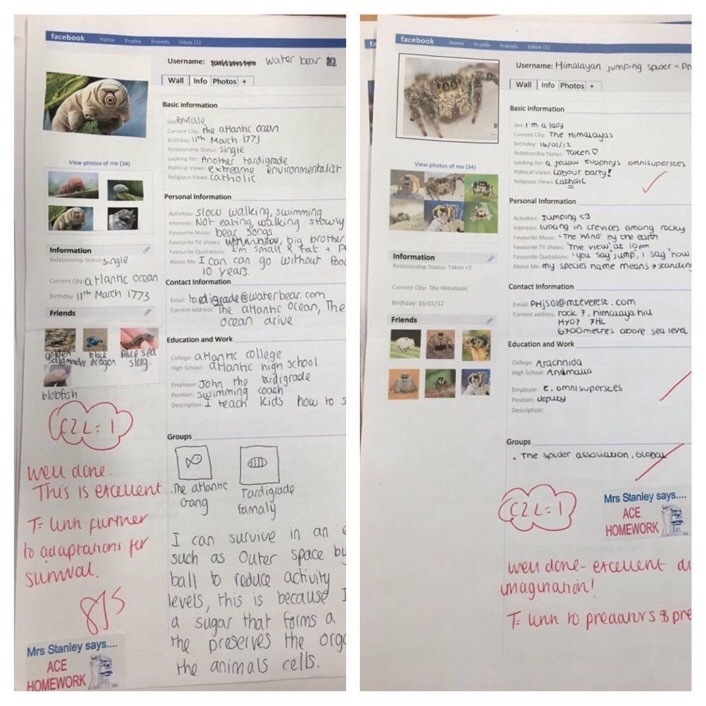 Clare has added typical extension activities like “twitter exit tickets” featured on other extension walls, but has also included case study questions for students which draw out high level exam and analysis skills. 20th March 2016 – Another “Guess Who” game making it into the hall of fame here; this one from @misscs_teach. The templates for guess who games can be easily found just by entering “Guess who templates” into a search engine if you have the game and want to make your own. 6th February 2016 – TJ Watson (@Pulzlad19) makes his second appearance in the hall of fame with this “State of matter” rap. 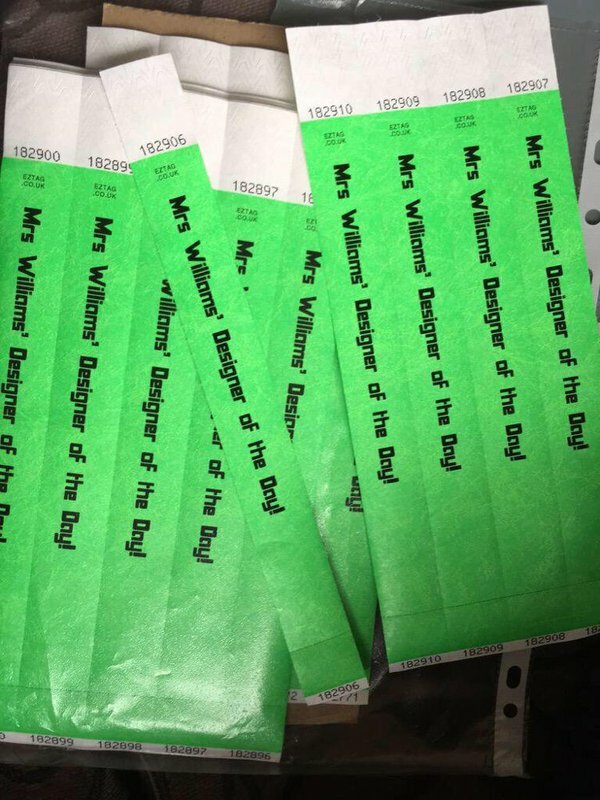 25th January 2016 – Love these reward wrist bands from @tscgraphics. Great idea for celebrating effort and attainment. 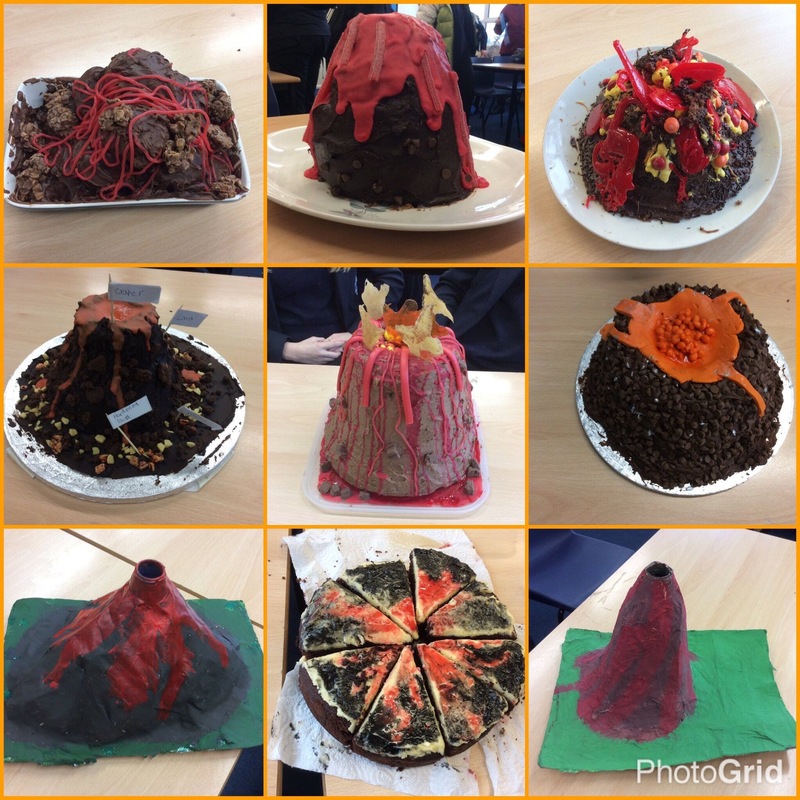 23rd January 2016 – Biology bake homework here from TJ Watson (@Pulzlad19). Good enough to eat! 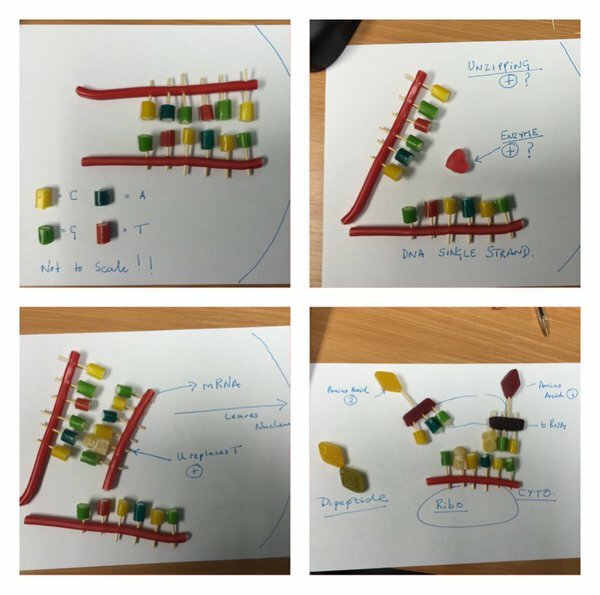 25th November 2015 – Love the use of the heart-shaped Haribo enzyme in this protein synthesis activity from Andrew Carroll (@carroll_dr). Good use of detail from students, especially the construction of the anticodons on the tRNA. 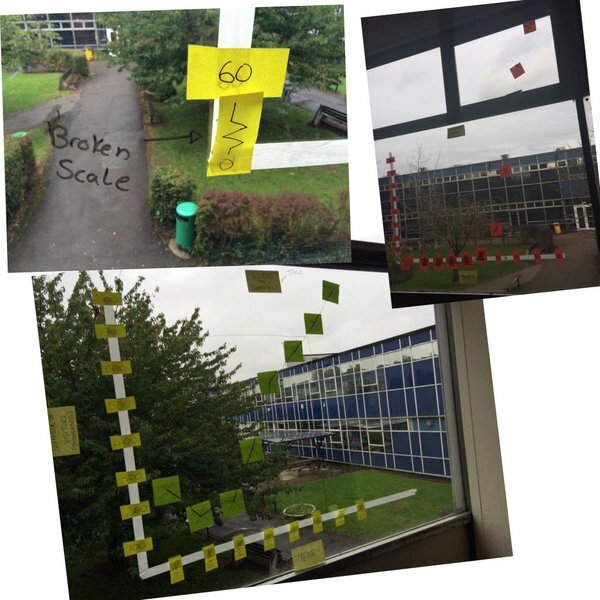 20th November 2015 – Great protein synthesis video here made by @TeamScienceTMCS‘s students. 30th October 2015 – Amazing model of a bacterium from a Y7 at St Bede’s Inter-Church School shared by @StBedesScience. It even has a working motor for the flagellum, brilliant! 5th April 2015 – James Batten (@JBattenPE) has put a lot of time into setting up this great revision resources for a Diet & Nutrition topic. Excellent use of a “guess who” game. Scrabble starters and plenaries are very popular at the moment. @BridgemaryTL has used the technique here to support student understanding of key words associated with Shakespeare’s plays. 16th January 2015 – History of medicine “Hot air balloon disaster” activity via @kenradical. Students have to justify who they would throw out first. 3rd December 2014 – Few activities engage children like using sweeties for learning. @Victoria_B_13 has used skittles here to great effect by representing atoms within molecules as different colours to illustrate Lavoisier’s “The Law of Conservation of Mass”. 24th May 2014 – The one that started it all! Homework menus are great ways of differentiating independent learning for students and I have never seen any that didn’t show practice worth stealing, but this one from Jamie Clark (@JamieClark85) and Miss Coe (@TS5timeshare) is next level awesome. None of Jamie Clarke’s work looks like it has knocked up in an afternoon and this is no exception. As soon as I saw this homework menu I thought, “Wow, I wish these guys taught my kids” and came up with the #iwishyoutaughtmykids award. Based on the Starbucks coffee shop style, this is a homework menu to rival all others. Not sure how they achieved the chalk board style, but it is very impressive.